CIRCLE Entertainment certainly stays busy on the 3DS eShop, producing a whole range of releases both developed in-house and publishing the work of others, particularly studios based in Japan and the Far East. Some prove to be gems, certainly, while others are a little more modest in what they offer; nevertheless, the portable's eShop would be a quieter store without CIRCLE's efforts. It's got yet another title heading to North America this week, too. 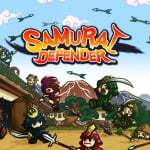 This one's a side-on castle defence game called Samurai Defender, set in the "Warring States period of Japan". You tap on enemies to attack them with your bowmen, while earning coins and levelling up boosts your abilities and defensive options. It'll arrive on 21st May for $3.99, though a European release is yet to be dated - check out the trailer below and let us know what you think. I may just get this. I did enjoy Demon King Box which was a throwaway RTS, though that had an atrociously translated story as an added bonus. 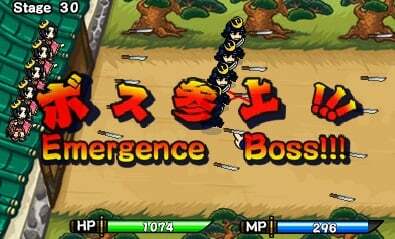 Kingdom Rush is still the best castle defence game. This looks good. But I'll have to check a review to make sure.